In 1994, DeWalt took over the German wood-working power tool producer ELU. DeWalt increased their line of tools using ELU's technology. DeWalt Angle Grinder. Radial arm saws that use the original DeWalt design can still be obtained from the Original Saw Co.
Dewalt DCN692N Brushless Framing Nailer Dewalt DCP580N Brushless Planer 1 x DCN692N Brushless Framing Nailer Body. 1 x DCP580N Brushless Planer Body. Dewalt DCN692N Framing Nailer Ergonomic tool design allows the nailer to fit easily between a 400mm centre stud. PART OF THE DEWALT FLEX VOLT RANGE. Parallel plunge allows the user to maintain a smooth and constant hand position while cutting. Bevel Capacity 47 °. Blade Bore 20 mm. Variable speed allows the correct speed to be set for different types of materials. 400 MWO Brushless Motor patented gear drive design, providing more torque and maintaining cut speed under load. Latest range extension to the XR system – professional performance with the added convenience of being battery powered. Dewalt DCN692N Framing Nailer 1 x DCN692N Brushless Framing Nailer Body. Dewalt DCS331N Jigsaw Ergonomic tool design allows the nailer to fit easily between a 400mm centre stud. 1 x DCS331N Jigsaw Body. 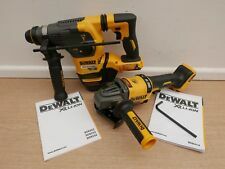 DeWalt DCN660N 18V 32-64mm Cordless 16G Angled Nailer BODY ONLY DCN660 plus 2500 each DT9900 (32mm) and DT9901 (38mm) Nails. DeWalt DCN660N 18v 2nd Fix Nailer. Magazine capacity 110 Nails. RearNail Length 32 - 63 mm. 1 x DS300 Large Case Without Tray. Dewalt DCS331N Jigsaw Dewalt DCS391N Circular Saw Latest generation premium Jigsaw featuring new XR Lithium Ion Technology. Powerful & Highly efficient DEWALT PM47 fan-cooled motor with replaceable brushes. Dewalt DCS355N Multi Tool Part No: DCS355N. Excel 13pcs Oscillating Multi Tool Accessory Set 1 each - 68mm HCS Oscillating saw blade. Unique quick change accessory system - tool free & single handed operation. Dewalt DCS391N Dewalt DCH253N Powerful and highly efficient PM58 DeWALT fan cooled motor with replaceable brushes. Bevel Capacity: 50 °. Uncertainty K 1 (Vibration): 1.5 m/s². Uncertainty K 2 (Vibration): 1.5 m/s². Input Power: 300 Watt. It is supplied with a tough, durable T-STAK Kit box, and a 37-piece accessory set that contains 1 x Oscillating Semi Circle Wood Blade. 1 x Oscillating Semi Circle Grout Removal Blade. DEWALT MODEL DC012. Runs Off Of 12V To 18V DEWALT Batteries Making It A Cordless Radio. Dual Pivoting 11 In Flexible Antenna Provides More Durability And Better Reception. Type: Heavy Duty. Antenna Size: 11. Dewalt DWE315KTL 300 Watt Multi Tool Quick Change Kit TSTAK 110 Volt The DEWALT DWE315KT corded Multi Tool has a powerful 300 Watt motor and superior ergonomics to offer comfortable use. For ease of use, it features quick accessory change and adjustment, requiring no Hex Key. The variable speed trigger provides ultimate control. It is supplied with a tough, durable T-STAK Kit box, and a 37-piece accessory set that contains: - Oscillating Blade for Wood with Nails - Oscillating Fastcut Wood Blade - Oscillating Wood Detail Blade - Oscillating Semi Circle Wood Blade - Oscillating Semi Circle Grout Removal Blade - Oscillating Rigid Scraper - Oscillating Sanding Platen - 25 x Sanding Sheets (Assorted Grades) - Universal Adaptor - Hex Keys : 3mm and 5mm - Dust . 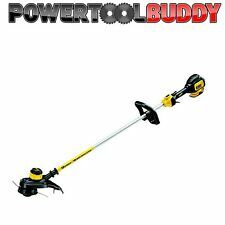 This tool is backed by a DEWALT 3 Year Limited Warranty for added peace of mind. 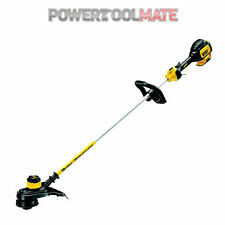 Includes DCS355 20-Volt Max oscillating tool, wood with nails blade, fast-cut wood blade and universal accessory adapter. DEWALT FLEXVOLT 120-Volt MAX Lithium-Ion Cordless Brushless 12 in. Miter Saw w/ AC Adapter (Tool-Only). The DHS716 12 in. Cordless Tool Type: Miter Saw. Maximum Degree Miter Cuts - Left: 50. Maximum Degree Miter Cuts - Right: 50. DEWALT 18-Volt NiCd Cordless 1/2 in. (13 mm) Impact Wrench (Tool-Only). of torque to make quick work of fastening jobs. Cordless Tool Type: Impact Wrench. Cordless/ Corded: Cordless. Compact size (5-3/4 in.). DeWalt DCN660N 18v 2nd Fix Nailer. RearNail Length 32 - 63 mm. Depth of drive can be easily adjusted using the thumb wheel depth adjuster. 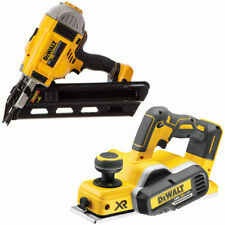 DeWalt DCN660N 18V 32-64mm Cordless 16G Angled Nailer BODY ONLY DCN660 plus 2500 DT9900 32mm Nails. DeWalt DCN660N 18v 2nd Fix Nailer. RearNail Length 32 - 63 mm. Depth of drive can be easily adjusted using the thumb wheel depth adjuster. 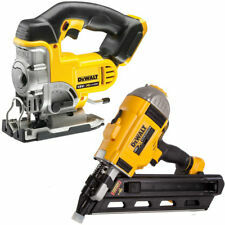 DeWalt DCN660N 18V 32-64mm Cordless 16G Angled Nailer BODY ONLY DCN660 plus 2500 DT9901 38mm Nails. 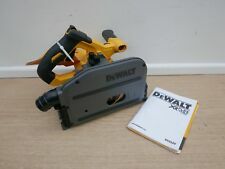 DeWalt DCN660N 18v 2nd Fix Nailer. RearNail Length 32 - 63 mm. Depth of drive can be easily adjusted using the thumb wheel depth adjuster. DeWalt DCN660N 18v 2nd Fix Nailer DS400 Case. RearNail Length 32 - 63 mm. Depth of drive can be easily adjusted using the thumb wheel depth adjuster. MITER SAW Flexvolt 120V Cordless Brushless 12 in. AC Adapter Tool-Only NEW. The DHS716 12 in. Miter Saw Type. Maximum Degree Miter Cuts - Left. Maximum Degree Miter Cuts - Right. Flexible power - corded or cordless power.